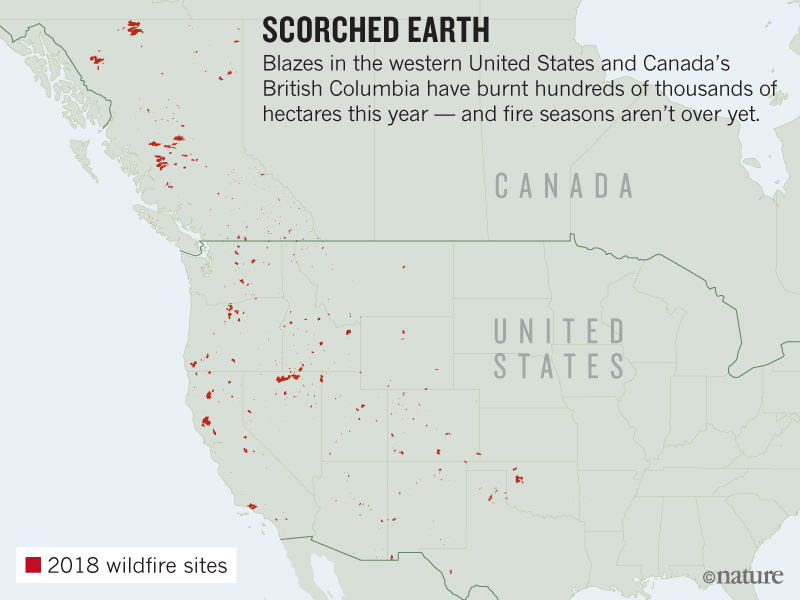 Blazes in North America are becoming larger and more powerful. In California, where the state’s largest wildfire on record continues to burn, fires are getting bigger and less predictable — so much so that scientists are struggling to model them. Now, two research projects under way in the state are aiming to revamp the models that scientists, first responders and policymakers use to understand these costly and dangerous disasters. One, slated to wrap up in the next few months, looks at how specific environmental factors such as extreme wind affect fires. The other, officially launched on 30 August, focuses on how wildfires will change in the coming decades as the climate warms. “Something is definitely different, and it raises questions about how much we really know,” says Max Moritz, a fire scientist at the University of California, Santa Barbara. The efforts come against a backdrop of abnormal fire seasons around the world. The giant California fire has torched about 166,000 hectares since late July and continues to burn in the northern part of the state. British Columbia in Canada is now experiencing its worst fire season on record. And in late July, after weeks of intense heat and some of the lowest rainfall totals since the late 1800s, officials in Sweden were battling roughly 50 wildfires across the country (see ‘Scorched earth’). Researchers have been at a loss to explain a flurry of unusual fire behaviour in California in recent years: wildfires that burn hot throughout the night instead of settling down, as many used to; blazes that race down hillsides faster than before; and fires that torch suburban neighbourhoods once considered safe from such events. And in July, a tornado with unprecedented wind speeds of 230 kilometres per hour spun up inside a fire near Redding, California. The problem, Moritz says, is that most of the fire models in use today are based on data from the past two or three decades. But it seems that fire behaviour might be shifting in response to climate faster than anybody expected, and that makes it increasingly problematic to extrapolate from past trends, he adds. As part of one of the projects, Sapsis is updating the model that CAL FIRE uses to map fire hazards across the state. In use since 2007, it incorporates information about environmental conditions such as topography, fire history and the type of burnable vegetation in an area. But it doesn’t capture how extreme winds can move through a local landscape. Those winds are the key to understanding urban conflagrations, Sapsis says. Within the next few months, he hopes to complete work on a detailed record of wind speed and direction across the entire state over the past 15 years. Those wind maps should help scientists study recent fires and ultimately, boost CAL FIRE’s ability to predict the risk of extreme fires in any given locality, Sapsis says. Climate scientists expect those risks to increase in the coming decades. California’s Fourth Climate Change Assessment, released on 27 August, projects that the area of land consumed by wildfires in the state each year could increase by 77% by 2100 if global greenhouse-gas emissions continue to rise. On average, more than 286,000 hectares have burned each year over the past two decades. The second project, a US$4-million study that includes Moritz and other scientists at multiple University of California campuses will explore the future of fire, ecosystems and climate in California. Much of the existing research has focused on extrapolating from past trends. But this recent study is aiming to create a more realistic picture of how wildfires and ecosystems will evolve by integrating detailed models of fire behaviour, vegetation and climate across the entire state. 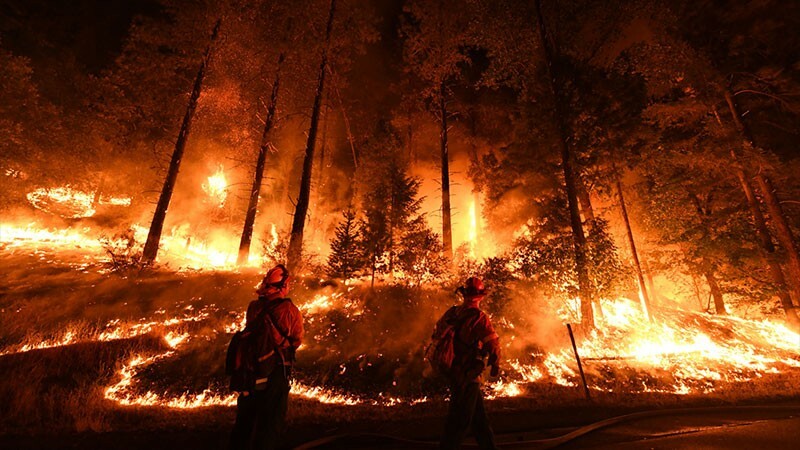 This should allow scientists to analyse how more extreme and variable weather will affect wildfires and how ecosystems will respond to them, says Alex Hall, a climate scientist at the University of California, Los Angeles, and the project’s principal investigator. A lot of work has focused on tracking average fire trends, Sapsis says. But scientists need to improve their understanding of the extreme blazes, as well as how fire patterns could shift in the future, he adds. This will help government agencies and communities make better choices when it comes to managing ecosystems and human developments in fire-prone areas.